The Time of Troubles comes to Bard College with Dimitrij. flanked by Marfa (Nora Sourouzian) and Marina, his wife (Melissa Citro). Photo courtesy Bard College and Bard SummerScape. 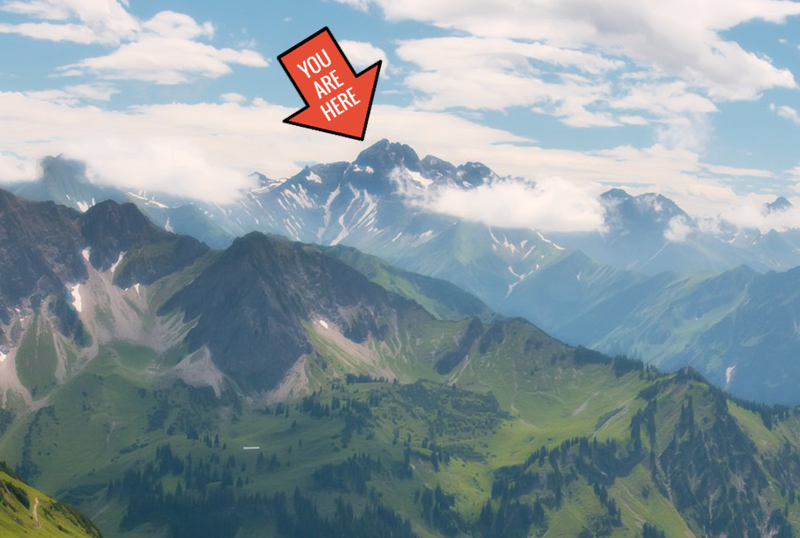 Strauss, Nietzsche and Ein Alpensinfonie. The climactic moment of Strauss' Ein Alpensinfonie. Before he rose to fame as the creator of operas like Salome, Elektra and Der Rosenkavalier, Richard Strauss was famed for his tone poems. Of these, his last and most ambitious is Ein Alpensinfonie from 1915. It is a mind-boggling 22-movement work which follows some of the conventions of a proper symphony but is designed to be played as one single unit, telling the story of a day's journey up an Alp in his native Bavaria. On Twitter with Puccini and the banality of evil. 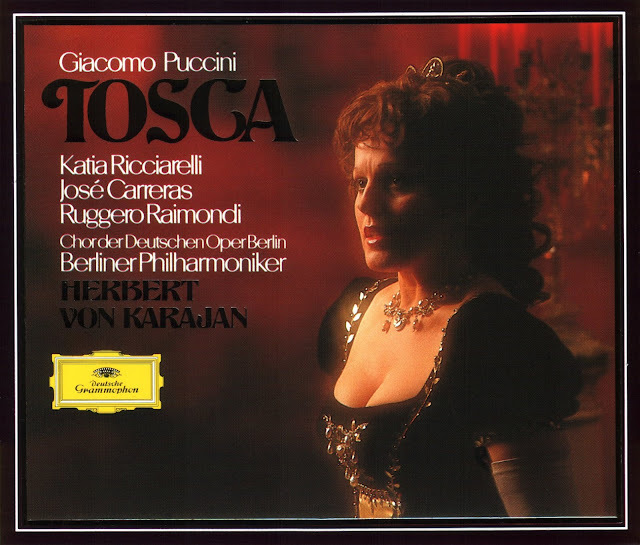 Cover art for the CD issue of the 1980 Karajan Tosca. Image © 1980 Deutsche Grammophon/UMG. It started because I couldn't sleep. Tonight was the super-stealthy midnight vote by the Republican Party to enact a so-called "skinny repeal" of the Affordable Care Act, the health care achievement by President Barack Obama that has enabled me to continue my career both as a freelance writer and as the author of Superconductor, my very own classical music publication that you're reading if you're reading this right now. Superconductor delves into "The Time of Troubles" and Dvořák's opera. 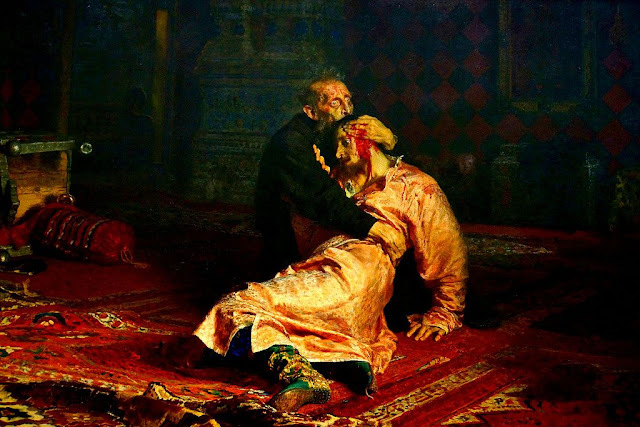 The incident that started it all: Ivan the Terrible (top) holds his dying son Ivanovich. The biggest opera premiere of the summer is this Friday evening, when Bard SummerScape unveils the rarely performed Dmitrij by Antonín Dvořák. Dmitrij is a Czech opera that delves into a bloody and to historians, fascinating period: the Time of Troubles. With the premiere scheduled for Friday night, I thought it would be a good idea to delve into the history of Dmitrij, and its more famous "prequel": Mussorgsky's Boris Godunov. We test the theory that everything is funnier in German. 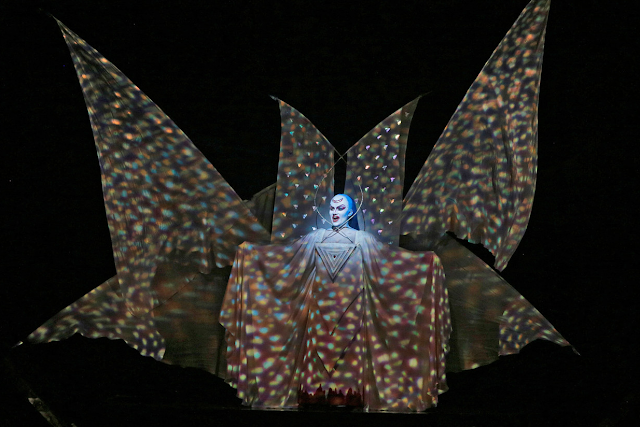 Kathryn Lewek is the Queen of the Night in Mozart's Die Zauberflöte. 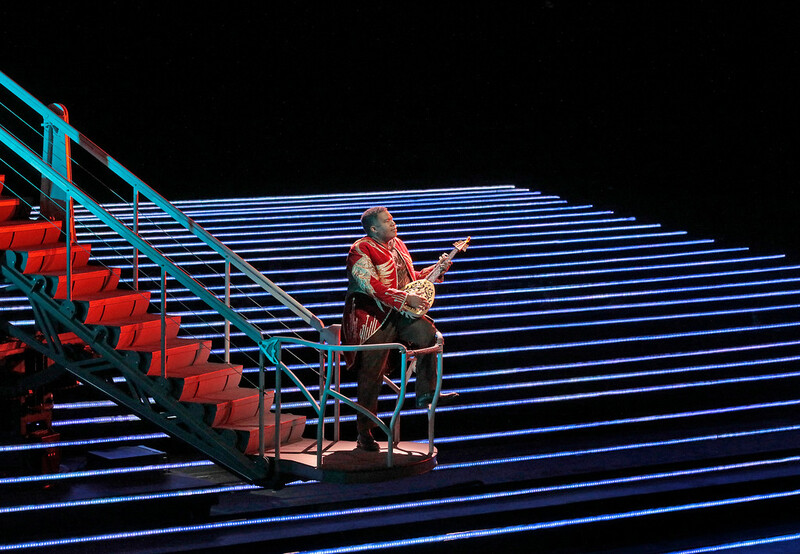 Photo by Ken Howard © The Metropolitan Opera. 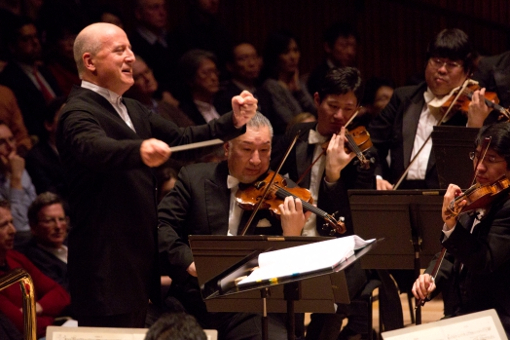 Paavo Järvi and the NHK Symphony Orchestra unleash Strauss tone poems. Helmsman: Paavo Järvi leading the NHK Symphony Orchestra. The NHK Symphony Orchestra is one of the twenty-four professional ensembles that call Tokyo, Japan their home, a mind-boggling number to the critic who lives in a culture where the arts are treated as some sort of afterthought by those who see to the dispersal of public funds for such matters. So far, the pairing of the orchestra with Estonian conductor Paavo Järvi has been a fruitful one. The first harvest from his term as music director is an exciting new recording, made in Suntory Hall of two very familiar Richard Strauss tone poems: Don Juan and Ein Heldenleben. The National Youth Orchestra of the United States of America marks five years at Carnegie Hall. also known as the Red Pants Brigade. Photo courtesy Carnegie Hall. A concert performed by an orchestra of musicians between the age of sixteen to nineteen is usually not an occasion for comment. However, on Friday night, the National Youth Orchestra of the United States of America played at Carnegie Hall, under the baton of Marin Alsop. 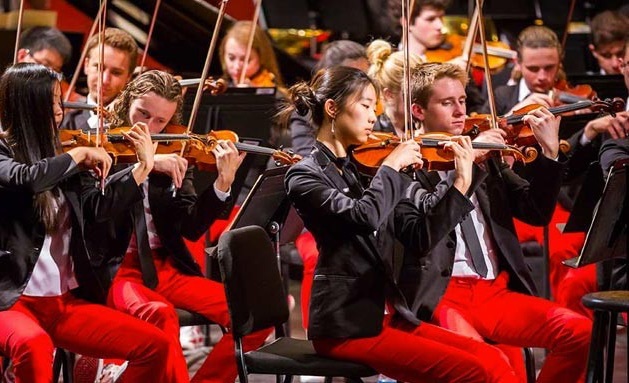 The NYO-USA was established five years ago through the good offices of Carnegie Hall’s Weill Music Institute and remains an important initiative in the sadly neglected and underfunded field of American music education. It would be fallacious to hold these young musicians, in their uniform of black jackets, red concert slacks and low-cut canvas sneakers to the same standard as the Berlin or Vienna Philharmonics. There were missed notes, or notes played past the measure. There were some lured and awkward phrases. However the lack of polish in their playing was compensated for with a raw energy and enthusiasm, and a fearlessness as they took on the challenge of two works by modern composers and one of Gustav Mahler’s most familiar and most forbidding symphonies: the First. The concert started with Short Ride in a Fast Machine, a four minute curtain raiser by John Adams that epitomizes the phrase “truth in advertising.” A repeatedly tapped woodblock provided the piston pump on that machines engine, with violins winds and brass sawing, chirping and bellowing Mr. Adams’ trademark short cells of sound. Rough this the woodblock persisted, embodying either the ticking of an overworked engine or an excited woodpecker strapped firmly into the passenger seat. This is a work of propulsive movement that climaxes in a golden glow of sound. Ms. Alsop proved to be a rally-class driver of this very large ensemble, navigating Mr. Adams’ gear-shifts of meter and phrase. She whipped the big orchestra around the hairpin turns while immersing the listener in the dens orchestral soundscape, Somehow this short piece seemed a lot longer and more absorbing then its four-minute length would indicate. The orchestra seemed more enthusiastic about the second piece of the evening, the three movement Apu: A Tone Poem for Orchestra from the pen of Gabriella Lena Frank. This was a kind of concerto for orchestra in three movements, with complicated lines for woodwind a and high percussion. Its purpose: to depict the Apu, a wilderness spirit that appears to travelers high in the mountain passes of Peru. Like the playful mountain spirit, the spiritual center of Ms. Frank's work revealed itself slowly and proved to be well worth the journey. The final movement was exuberant and demanding. Mahler's First Symphony is one of the composer's most accessible: an early statement of purpose loaded with quotes from the composer's own songs, children's rhymes and even a fragment of Humperdinck's Hansel und Gretel. It remains popular with audiences and regularly programmed as a result. However the four movements of this symphony (once nicknamed “the Titan”) are a stiff climb for even the most seasoned professional band. Here. The NYO-USA players seemed challenged in the first movement where woodwind phrases were overextended and the first roar of the horns feeble and timid. However, Ms. Alsop recognized the difficulties and responded with an urgent tempo, letting the energy of the movement build and build before erupting in a storm of timpani and trumpet in its closing pages. The dance movement was taken at a similar urgent pace, with the cellos chugging out the rollicking almost nautical rhythm. Some slurred string phrases in the trio were forgivable. E slow movement was super, a smoldering funeral march that ascended into a manic celebration before relapsing into the quiet meditation of the opening theme. The final movement detonated, with Ms. Alsop letting her charges burst forth into exuberant fanfares. Wind and brass. Indeed, the horn section did the heroic, heavy lifting at the end. They stood and played proudly with robust tone and bells raised for maximum volume, hammering home the last notes of this audacious and ebullient work. A look ahead at next month's Peter Gelb film festival in Lincoln Center Plaza. Eric Owens in L'Amour de Loin. The Metropolitan Opera returns to its tradition of showing reruns to an adoring public at Lincoln Center plaza in the late summer. 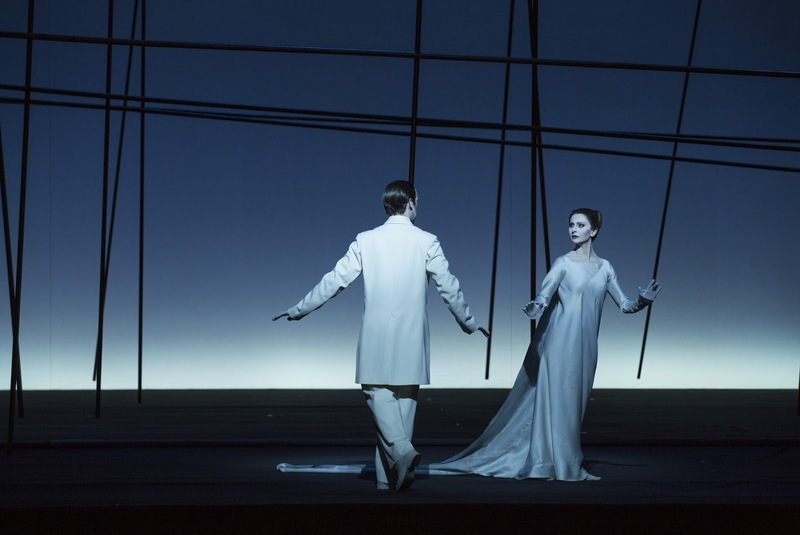 This year the company offers screenings of eight operas plus filmmaker Ingmar Bergman's version of The Magic Flute. Why only eight operas, you ask? Because one of them, Wagner's four hour epic Tristan und Isolde is being split into two nights. All the screenings will be held on Lincoln Center Plaza, with the 3,000 FREE seats filled on a first-come first-serve basis. Programs and playbills will be provided. Beating the heat with the Chamber Music Society of Lincoln Center. Partners at work: David Finckel and Wu Han. Most summer music festivals take place under hot tents or purpose-built structures open to the elements. Neither are conducive to good music-making, although the combination of grassy swards, majestic trees and a good bottle of cab. franc makes up for any unpleasantness. 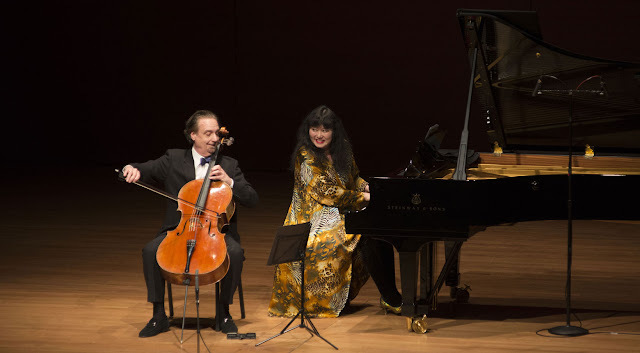 The Chamber Music Society's summer series, which gave the second of three concerts on Wednesday night, offers a comfortable alternative: the air-conditioned acoustic excellence of Alice Tully Hall. Tosca star, conductor take the act to Tanglewood. Jump they say: Karita Mattila in a promotional shot for the Met's old production of Tosca. Those wanting to see the original conductor and soprano scheduled for the Metropolitan Opera's new production of Tosca should head to Tanglewood in Lenox, MA. on August 26. Conductor Andris Nelsons and his wife Kristine Opolais will perform Act II of the opera in a special opera gala at the Boston Symphony Orchestra's annual summer festival. 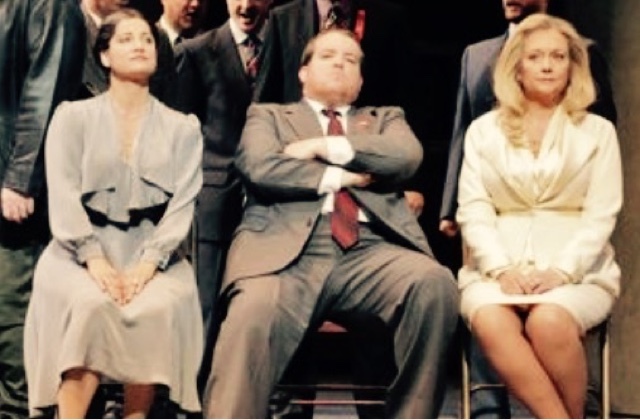 Lincoln Center Festival does Naked Lunch. 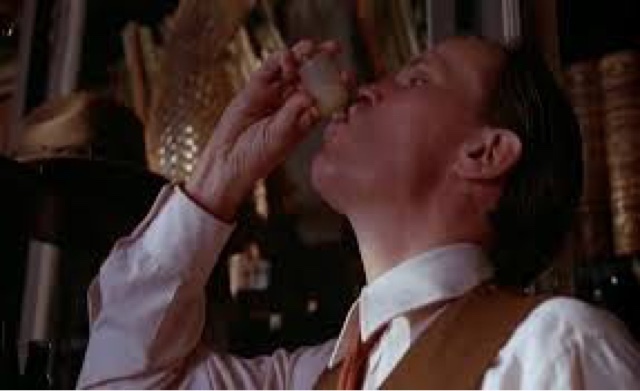 Liquid courage: Peter Weller drinks up in Naked Lunch. Image Copyright 1991 201th Century Fox. Ornette Coleman carved his own path as a composer. As he burst upon the scene, he epitomized the atonal explorations of free jazz and then developing his own musical system of “harmolodics” to express himself with saxophone and pen. On Tuesday night, the Lincoln Center Festival kicked off its week-long Coleman tribute with a screening of Naked Lunch, the surreal, disturbing and very funny David Cronenberg film for which Coleman supplied part of the soundtrack. Why did Wagner choose to set Tannhäuser? it is a long opera. 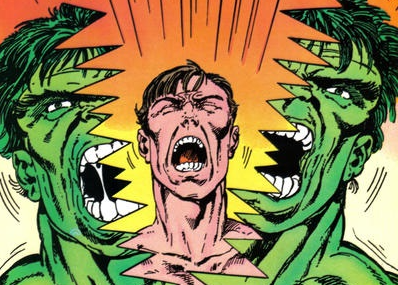 Art by John Byrne from The Incredible Hulk No. 315 © Marvel Comics. 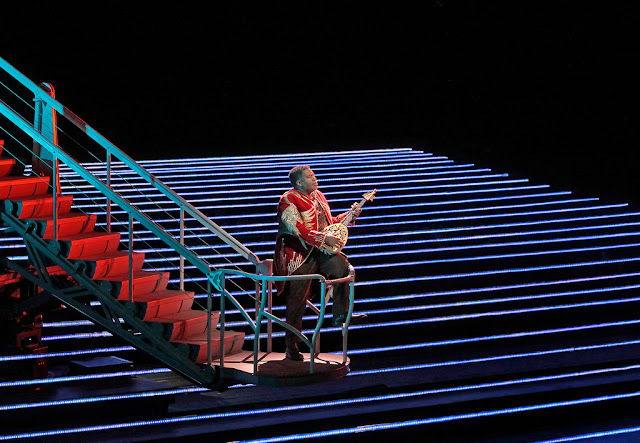 Of the thirteen operas that Richard Wagner brought to the stage, it is his fifth, Tannhäuser that creates the most headaches for singers, conductors and directors. It is a Germanic update of the the Orpheus myth. Wagner distilled his libretto from theee separate medieval legends, creating a complex and flawed work that meditates on the dichotomy between reason and passion, between celestial fate and earthly lust, with an artist and musician trapped in the middle. Transformative Alchemy: Beethoven's Sixth Symphony. An analysis of the Pastorale Symphony. Detail from the painting by N.C. Wyeth. What is program music? This is a question that musicians and music critics have been wrestling with (and generally losing the match) for 200 years. 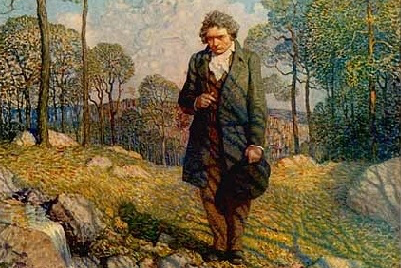 The debate started in 1808, the year that Ludwig van Beethoven premiered his Symphony No. 6 in F Major, the Pastorale. While it would be Hector Berlioz who created the first detailed program for a symphony 22 years later in his Symphonie-fantastique, Beethoven pointed the way forward by substituting movement titles for the usual tempo markings. Jonas Kaufmann sings Mahler solo. Photo by Julian Hargreaves for Sony Classical. How does a singer start his next act? If you're Jonas Kaufmann, the heartthrob tenor who is known for his good looks, stage presence and (more recently) frequent cancellations, you do it on record. Mr. Kaufmann is known for the lighter Wagner tenor roles (Lohengrin, Parsifal) as well as heroic parts in the operas of Puccini, Bizet and Massenet. However his newest recording, released this spring by Sony Classical is something different: a solo flight through Mahler’s autumnal epic Das Lied Von der Erde. A walk in the dark woods with Claude Debussy. Pelléas et Mélisande from the Opera de Paris. Photo courtesy medici.tv. Like the forests of Allemonde, Superconductor was dark for the last week as I rested, recharged and figured out what direction I want to take this blog in next. Today, I borrowed an idea from the composer John Cage: indeterminacy. Using the shuffle function on my old 160GB iPod Classic to decide which composer I'm writing about. And the winner is: Claude Debussy and his lone opera: Pelléas et Mélisande.